Retired 1st District Court of Appeal Judge William “Bill” A. Van Nortwick Jr.
A trailblazer and notable advocate for social justice passed away on January 12, 2019 at the age of 73. Retired 1st District Court of Appeal Judge William “Bill” A. 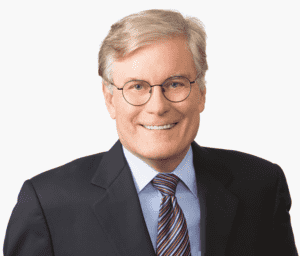 Van Nortwick Jr., was a participant in pro bono services and believed in the value of not only what legal services across the country did but supported through his time and engagement with clients who most needed access to justice. Judge Van Nortwick was widely recognized across the state and across the country. He was presented with the Pro Bono Publico Award by the American Bar Association, the Medal of Honor by The Florida Bar Foundation, the Robert Beckham Equal Justice Award for his support of some of our most vulnerable populations, and many more astounding accomplishments over his lifetime. At Legal Services of North Florida (LSNF), Judge Van Nortwick was integral at many steps in the history of LSNF’s development. Judge Van Nortwick found the time to support LSNF in achieving our mission of Providing an Opportunity for Justice. At the inception of the Interest on Trust Account Program and adoption of this program by the Florida Bar Foundation, Judge Van Nortwick supported the hard-fought efforts by LSNF’s then Executive Director, Jack McLean, to craft and implement rules that ended up providing millions of dollars to serve our clients. The Interest on Trust Account Program helped low-income communities throughout Florida at a time when federal funding for legal aid was diminishing. Judge Van Nortwick regularly inspired others, from speaking at LSNF’s Law Day celebrations to supporting Pro Bono recruitment efforts as the “face” of the Florida Bar Foundation’s One Campaign – One Case, One Attorney, One Promise. In the early stages of LSNF’s endowment campaign, he was among the leadership whose counsel was sought in the creation of our case statement, which helped LSNF reach a two-million-dollar campaign goal! Judge Van Nortwick even made time to support the work of our staff by assisting our Director of Litigation Scott Manion and Board Member Wendy Loquasto in creating and presenting substantive trial training materials for our Tallahassee and Pensacola office locations. We at LSNF remember Judge Van Nortwick with admiration and incredible gratitude for his life service to helping fight for justice for all. To honor Judge Van Nortwick’s contributions as a friend, colleague, supporter, community leader and more, a memorial service will be held at the Garden Club of Jacksonville, 1005 Riverside Avenue, on February 15, 2019 starting at 4:00 p.m. Learn more here.